Give your wines international exposure! iDealwine will take care of everything! For selling your cellar at auction or through a binding purchase, fill in the online form or send us your wine list by email. We'll send your valuation as soon as possible. For an important list, you can also use the attached Excel file and send it to us directly at vendeur@idealwine.com. Your wine must be delivered to iDealwine prior to its sale. Our team of specialists will check and photograph every single bottle and store them in our warehouse until the sale. Auction: You will receive an email with the results within 24h after the closure of the sale and be paid within 35 days. Binding purchase: instant payment after the checking of the wines. Online auction or binding purchase: what's the difference? 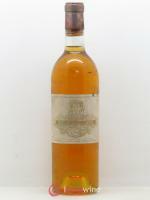 iDealwine will give you a valuation of your wines based on previous results at auction. If you require faster payment you can request a binding purchase. For binding purchases, the price offered is the lowest estimate minus the sales commission. What is the estimate based on? 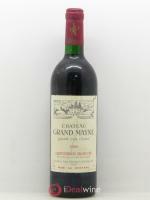 The iDealwine price estimate is regularly updated and is an average calculated from most recent auction. It consists of the hammer price and the buyer's premium. At auction, who sets the reserve (starting auction price)? 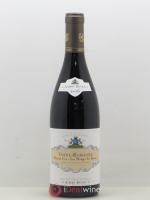 The reserve price is the starting auction price for a lot, i.e. the price below which a lot cannot be sold. This reserve price is automatically set as the low estimate provided. The vendor can set a reserve below the lower estimate, or opt not to set any reserve. In the latter case, the auction starting price will be fixed at €1 to encourage competition between bidders, which is very popular with wine enthusiasts. 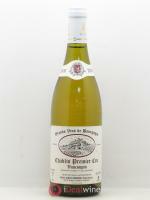 At auction, you are charged seller’s commission once your wines have been sold and before payment is settled. It includes the cost of expertise, insurance and wine storage prior to sale. It also considers iDealwine’s advertisement of your wine to its global customer base (55 countries). Where and how is my wine stored once it has been estimated? At every stage of the sale (from receipt to dispatch) the bottles are stored in a secure facility at an appropriate temperature. iDealwine holds an insurance policy covering wine stored on behalf of a third party. Each auction sale lasts approximately ten days. During this period, your wine will be given prominent exposure and high visibility on our website. Can I track the sale of my wines in real time? You can follow your wines throughout the sale. You can use your account to track bids on each of your lots in real time. iDealwine makes a commitment to complete the transaction promptly once a buyer has been found, and payment is guaranteed. You will be paid by cheque within 35 days of the end of the auction sale or alternatively you can send your bank details by email to vendeur@idealwine.com or by fax to +33 1 56 05 86 11 if you wish to be paid by bank transfer. For binding purchase, payment will be made immediately by cheque or bank transfer as soon as the wines have been checked. The estimate submitted to you are based on auction results minus the buyers's premium. For wines which are not listed, the estimate is an average market prices based on a panel of leading wine merchants.